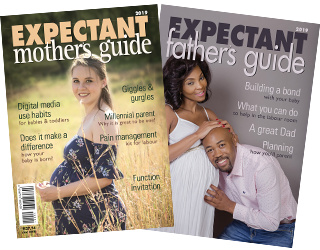 Expectant Mothers Guide | Babies experiencing pain and stiffness after birth? 08 Nov Babies experiencing pain and stiffness after birth? It is not something many of us have probably ever given much thought to – but newborn babies can, and do, present with pain, stiffness, muscle spasm and inflammation – similar to that found in adults! After being confined in the womb for months (often in the same position) and then making their sudden entrance into the world, it is not hard to imagine why. This pain and stiffness may affect their alignment. A well-aligned body, which is free of strain, promotes better feeding and better digestive function. It also helps to promote optimal motor development. Treating your baby’s pain and stiffness helps to improve their alignment, as well as helping your baby to feel more comfortable, content and happy. One treatment option available is Craniosacral Fascial Therapy (CFT). CFT is a combination of Craniosacral, Fascial and TMJ (Jaw) therapy developed by Dr Barry Gillespie over 35 years ago. CFT focuses mainly on treating the fascia. Fascia is the connective tissue that surrounds every structure in the body (including every muscle, joint, nerve, organ etc.) and connects everything together in a 3D web. Any strain in the fascial system will pull through this 3D web and start to affect every other system in the body. CFT is a very gentle treatment, which does not involve manipulation of any bones or joints. Your baby guides the gentle treatment and therefore a qualified baby CFT therapist cannot hurt your baby. It is safe to treat babies with CFT from birth. If your baby’s symptoms are related to tightness in their fascial system, this strain will start to release immediately during treatment. You should be able to see some improvement from the first session (although it may take a few sessions to resolve their issues). Depending on the degree of strain and tightness in their little body, your therapist will be able to advise you how many sessions your baby will need. Usually once their fascial strain has released, they generally do not tighten up again unless they undergo surgery, suffer a new trauma or digestive system upset. If your baby does not improve with CFT, it is likely that there is another underlying cause of their symptoms, and your therapist will then refer you on to your paediatrician, lactation consultant, clinic sister etc. for further help and guidance.